Would you like to do something different next Monday morning? To forget the never-ending 9-5 and make a real difference to every day? 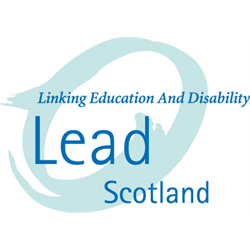 ENABLE Scotland is a dynamic and vibrant organisation dedicated to improving the lives of people with learning disabilities and we have an exciting opportunity for a Charitable Services Delivery Manager to lead on the management and delivery of our charitable services, including funded projects. If successful you will take the lead in ensuring our vision of delivering excellent charitable services becomes reality both in principle and in practice. As Charitable Services Delivery Manager you will be responsible for ensuring our charitable services deliver performance and quality standards; meeting compliance and contractual requirements; and developing new business opportunities to support people who have learning disabilities in line with our strategic priorities. This will encompass the planning, design, development and facilitative management of new and existing charitable services whilst working collaboratively with key stakeholders. * Significant people management experience with the ability to coach, develop and motivate staff to deliver funded projects to grant requirements. * Experience of leading, managing, supporting and working alongside project staff to monitor, and report on, the performance projects. * Ability to produce reports, publications, and articles for internal and external use evidencing the impact of projects. * The ability to adapt communication style in order to engage with a wide range of people including internal and external stakeholders. * Effectively managing income and expenditure in line with agreed budgets.